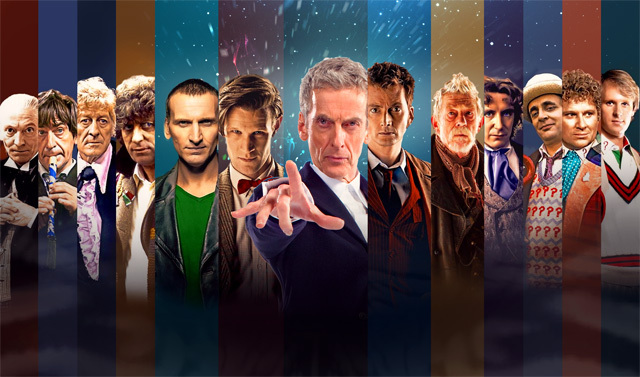 Doctor Who: WHO'S YOUR FAVOURITE DOCTOR? Countdown - 4 to 1 | Warped Factor - Words in the Key of Geek. Dr. Moo completes his countdown. ”Who's your favourite Doctor?” It's a question often asked, and over the last two days I've been counting down my own personal ranking order of all the canon incarnations of the character from my least-to-most-favourite. Positions 13 to 9 can be found here, 8 to 5 are here, and today it's my top four. Why not tell us your own personal rankings in the comments below. Keep it to the canon incarnations only - no spoofs, alternates, stand-ins or soundalikes. This incarnation of the Doctor is like Marmite: everyone either loves him or hates him. Personally I think he’s wonderful. Selfish, arrogant, rude, obnoxious and unstable are all words that can be used to describe the Sixth Doctor, but I prefer to use words like caring, friendly, trustworthy, witty, compassionate and multi-layered. There’s more to him than meets the eye (just as well – look at that coat… and then contact your optician) as beneath the off-putting exterior is a misunderstood man who just wants to do the right thing. Very little can hope to stand in his way when he sees injustice, not even his companions or the Time Lords themselves. 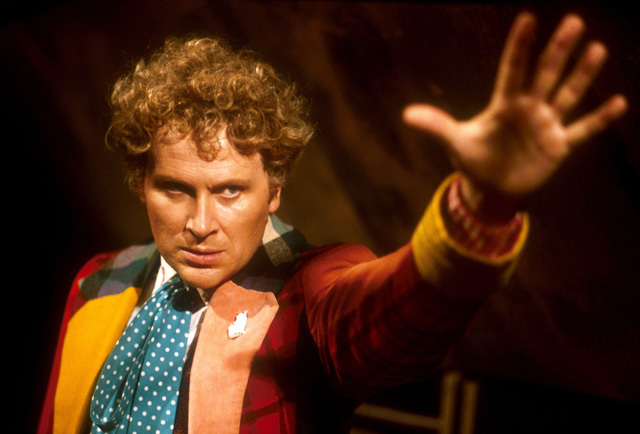 His era is filled with gratuitous violence and he suffers through some of the worst scripts ever written – The Twin Dilemma, Attack of the Cybermen, Timelash – but Colin Baker’s Doctor shines in every scene. The BBC wanted him out and forced his time to end before he gave us everything his Doctor had to offer, thankfully Big Finish have more than made up for that with Colin consistently winning the Best Doctor On Audio poll in DWM. Go buy their box set The Last Adventure. You’re welcome. Finest moment: His regeneration – that is, the audio version in The Brink of Death – is good but I’m sticking strictly to TV so I’ll go with his epic speech about the corruption of the Time Lords at the end of his trial. 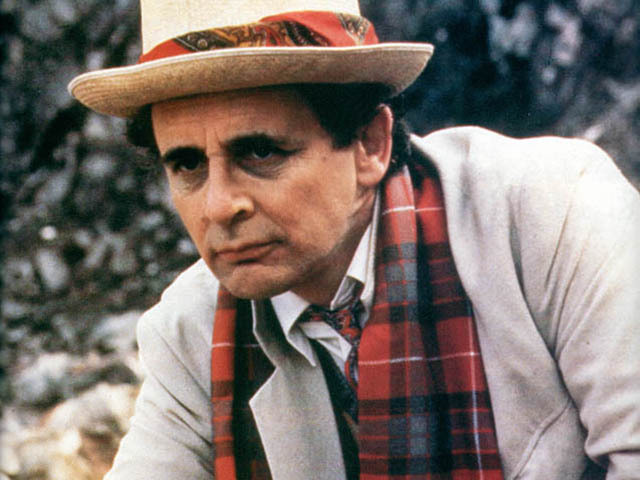 DOCTOR: In all my travellings throughout the universe I have battled against evil, against power-mad conspirators. I should have stayed here. The oldest civilisation, decadent, degenerate and rotten to the core. Ha! Power-mad conspirators, Daleks, Sontarans, Cybermen, they're still in the nursery compared to us. Ten million years of absolute power, that's what it takes to be really corrupt. MEL: Take it easy, Doc. DOCTOR: Unseemly outbursts? If I hadn't visited Ravalox, as I then thought of it, the High Council would have kept this outrage carefully buried, as presumably they have for several centuries. Best stories: Much of his stuff is utter dross but Vengeance On Varos and Revelation of the Daleks are pretty good, as is most of The Trial of a Time Lord. His first season is pretty rubbish. All the problems that lay in Colin Baker’s era, as discussed above, are still present minus the gratuitous violence. But it’s all uphill after that when Ace joins the crew and the 7th Doctor’s true personality is revealed as a manipulative chessmaster anticipating everyone’s actions in order for events to unfold as he intends to get the results he needs. If he thinks Ace needs to face her fears he’s taking her to a haunted house. If he needs to defeat a demon he’ll see to it Ace loses her faith in him. If he needs to defeat Davros he’ll trick him into destroying Skaro[‘s sun]. If he needs to destroy a superweapon while being attacked by Cybermen he’ll let them take it with them so that it destroys itself and them with it. Yet despite this he comes across as a clowning buffoon… but you never know what trick he’s got up his sleeve. McCoy gave us the most layered “classic” Doctor of them all. Finest moment: His parting words to Ace – and by extension the audience – at the end of the ironically-titled Survival, they tell the Doctor’s fans that his series may be over but he’ll always be having adventures somewhere. "There are worlds out there where the sky is burning, the sea's asleep, and the rivers dream. People made of smoke, and cities made of song. Somewhere there's danger, somewhere there’s injustice, and somewhere else the tea's getting cold. Come on, Ace — we’ve got work to do!" Best stories: Remembrance of the Daleks, The Happiness Patrol, Ghost Light, The Curse of Fenric, Survival. I could write an entire other article on why these are his best stories, in fact I already have. The current occupant of the TARDIS, Peter Capaldi’s 12th Doctor has already proved a favourite with many. Myself, he comes second overall. That’s no bad thing mind you. His portrayal of the Doctor is of a man who constantly tried to prove himself as a good man (“A Good Man?” is literally his theme music – it’s also a fantastic piece of music) because he was not sure if he is. Since then he’s certainly proved that to be the case but there have been times when he’s strayed from that path, such as when Mayor Me accidentally caused Clara’s death. The lengths he went to to try to rescue her from it were incredible! This is a man who may come across as cold-hearted, mean and grumpy but underneath it he's a compassionate man who wouldn’t hurt anybody and wants to do what he can to save people, something his face serves as a reminder of, because he has a self-appointed duty of care. Armed with a dry wit, disapproval of the military, anti-authoritarian stance and hard exterior, this is not someone to cross but if you’re good he’ll be your best friend and loyal ally to the end. He’s also a wizard with the guitar. Finest moment: Taking the Foretold on with 66 seconds to figure out how to defeat it or die. The moment when his TARDIS is re-energised and he steps outside of it to face the Boneless. Entering a room full of Daleks in Davros’s chair saying to them “Admit it! You’ve all had this exact nightmare.” Skydiving into his TARDIS after his airplane explodes. THAT anti-war speech to a roomful of soldiers and Zygons. Stepping out of his TARDIS for the first time where he meets the Paternoster Gang and a T-Rex. His confrontation with the Fisher King. Beethoven’s fifth symphony. Deposing Rassilon without saying a word. The entirety of Heaven Sent. All of these moments could be deserving of this title and likely many more will join their ranks come series ten, but for my money his finest moment is his grand entrance in The Magician’s Apprentice when he enters a stadium full of people riding on a tank playing the Doctor Who theme on electric guitar. Best stories: Deep Breath, Listen, Mummy on the Orient Express, Flatline, Last Christmas, The Magician’s Apprentice/The Witch’s Familiar, Under the Lake/Before the Flood, The Zygon Invasion/The Zygon Inversion, Heaven Sent/Hell Bent, The Husbands of River Song. It’s fairly common knowledge that Matt Smith is MY Doctor and I just love his take on the Time Lord. The youngest actor ever to play the role, despite 11’s youthful looks he possesses an older quality. His energy is infectious and you can’t help but feel a sense of joy watching him, whether he’s in instant classics like The Day of the Doctor or trash like Nightmare in Silver, he’s always doing something interesting to keep you engaged in the story. This is not a young man, he’s got over 1000 years of experience and he’s going to use them, you can bet your life! He’s someone who can turn instantly from a funny man doing a stupid dance to entertain kids to a dark foreboding figure that can scare entire armies away at the mere mention of his name. Easy-going on the outside but inside the guilt of the Time War is still there, and he will prevent anything like it from happening again whatever the cost. 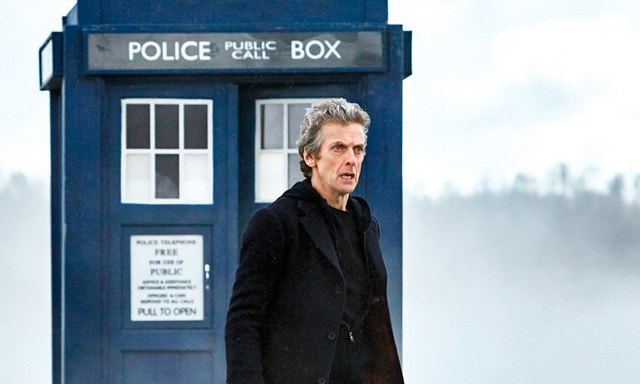 The storytelling in his era is clever, constructed and intricate, be it the origins of the cracks, the fight with the Silence, the impossibility of Clara or his relationship with River, all making for some of the best ongoing story arcs ever to grace our TV screens. 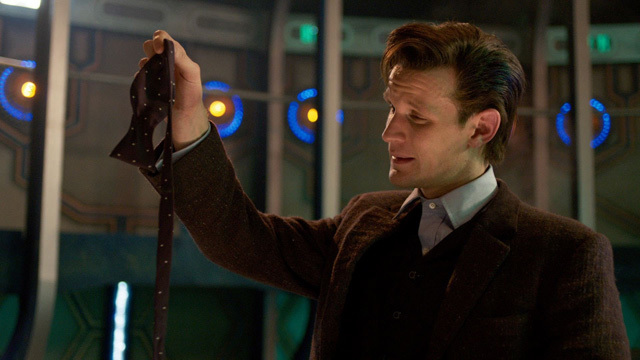 A great Doctor and a great era of the show, Matt Smith is my favourite Doctor. Geronimo! ATRAXI: Is this world important? DOCTOR: Important? What's that mean, important? Six billion people live here. Is that important? Here's a better question. Is this world a threat to the Atraxi? Well, come on. You're monitoring the whole planet. Is this world a threat? DOCTOR: Are the peoples of this world guilty of any crime by the laws of the Atraxi? DOCTOR: Okay. One more. Just one. Is this world protected? Because you're not the first lot to come here. Oh, there have been so many. And what you've got to ask is, what happened to them? Hello. I'm the Doctor. Basically, run. Best stories: Like with McCoy, I’ve already done an entire article looking at Matt Smith’s best stories. The Eleventh Hour, The Vampires of Venice, The Pandorica Opens/The Big Bang, A Christmas Carol, The Impossible Astronaut/Day of the Moon, The Doctor’s Wife, The God Complex, A Town Called Mercy, The Bells of St John, Hide and The Day of the Doctor were my picks but I’d also like to give shoutouts to The Time of Angels/Flesh and Stone, A Good Man Goes To War, Let’s Kill Hitler, The Girl Who Waited, The Wedding of River Song, Asylum of the Daleks, The Snowmen and The Time of the Doctor. So that’s my personal ranking of Doctors. Splendid chaps, all of them. Let us know YOUR ranking order in the comments below!